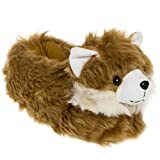 1 Are Pomeranians Smart ? 3 How do dogs learn? 4 Pomeranian Intelligence Level ? You obviously know your Pomeranian is very smart. However, you may sometimes wonder how smart the Pomeranian dog breed is in general, when compared to other dog breeds and also to people. The official description of the Pomeranian includes information such as: an inquisitive animal; is quite expressive and is very alert. 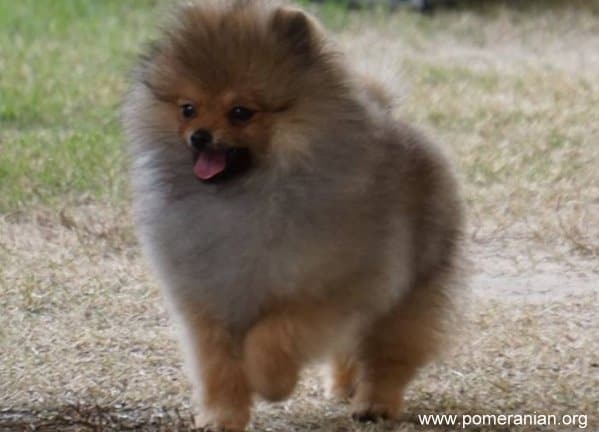 Even though the Pom may seem to be clever, as a breed, can Pomeranians be described as intelligent? 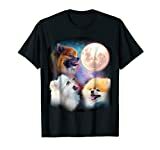 Has an actual rating system ever been developed and, if it has, where on the ladder would Pomeranians be listed? How can you even test this? Does dog intelligence resemble an IQ for humans? This page explains Pomeranian intelligence levels. Will it just tell you how well your dog can learn? If it does, what can you do to help you dog maximise his full potential? When trying to work out how intelligent dogs really are, there are a number of elements that must be considered. This is a huge part of assessing the intelligence of our canine friends. Most dogs living in a home where there’s lots of interaction will comprehend approximately 165 words. So your assumption that your pet only knew a few simple commands and greetings, you’re wrong. Some dogs know less and others know more. Breeds that are considered to be in the top 20% when it comes to being smart can comprehend up to 250 different words. However, even if they know 165 words, that’s about the same as a two year old child. This is much more than just memorising different words. It also covers the way a dog will look at an object and, weeks later, he can still remember the same object. People do it this way too. The tales of dogs who get separated from their loving owners for a long time and, when reunited, they’re ecstatic are all true. Assuming dogs have a short memory is a myth. How smart is a Pomeranian ? This covers how a dog can understand what’s around him and his environment. He clearly demonstrates his intelligence when you take him to the dog park ort into a pet store (both places he visits regularly). If you grab the brush and he runs off because he doesn’t like it…that’s smart. If he walks to his leash and gets excited, that’s also being smart. These are all clear examples that your Pom is aware of what’s going on around him. In some ways this resembles awareness but is significantly more because it includes how your dog uses his five senses to work out what is going on. Sight, touch, sound, smell and taste can all help him identify what objects are. This (surprising to some) actually includes using the Earth’s magnetic field. Scientists have verified that dogs can sense Earth’s magnetic field (known as Magnetoreception. They carried out studies on dogs and their use of this magnetic field. The dogs had to be off their leash and in an open space. Their studies concluded that the dogs preferred to line their bodies up along a north-south axis and then urinate and/or defecate. However, why they did it this way wasn’t known. 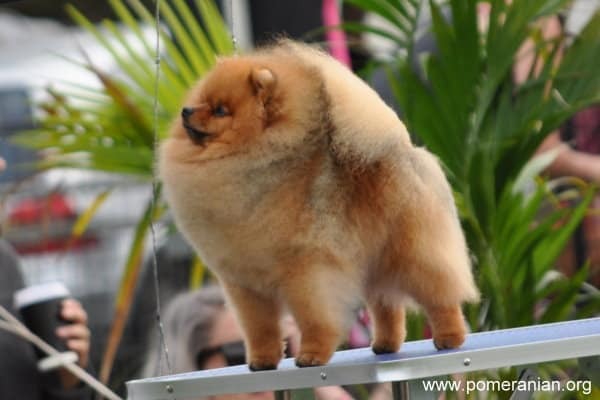 They studied 70 dogs from 37 toy breeds (but not Poms) over a two year period. In every single instance, they were lined up in a north-south direction. While it’s a wise idea to have your Pomeranian on a leash for bathroom breaks, if your yard is fenced off, try not using the leash and see what he does. This can be a good way to tell how smart your dog is. It relates to how well your pet interprets certain social cues. One example used in numerous studies was to put an item under a bucket. There are two buckets and the dog should be able to tell you which one it’s under. The idea is not to pat the bucket but to try pointing or looking at it and seeing what the dog does. The study concluded that dogs were smarter than chimps and human babies. It’s essential to understand that dogs are always learning from the things you do and they never stop learning. The smallest of gestures or looks can tell them what you’re thinking or about to do. They can tell him what you feel and what your expectations are of him as well. Appreciating this can assist you in finding the best ways to handle your pet’s separation anxiety. You can teach your dog how to solve problems. For example, if he presses a button with his paw to reveal a hidden treat. Some games are useful for dog and owner to play together as they help sharpen his skills. More on this subject later in the article. To test the intelligence of a Pomeranian or any other dog breed, you need to test the range of his emotions. Testing can help compare the emotional ability of a Pom when compared to a person. People’s abilities to feel and express emotions expands as they grow older. For example, a child can be excited from birth but generally can’t express contempt until around the age of five years. 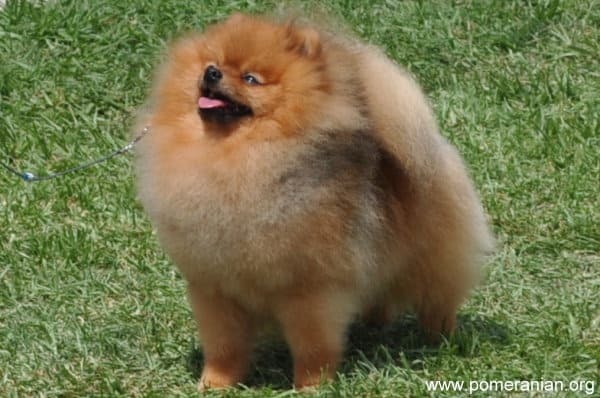 Studies on Pomeranians have proved that emotions are at least comparable to a 2 and 1/2 year old toddler. Obviously some will be more and others will be less. excitement, distress, contentment, disgust, fear, anger, joy, suspicion, shyness, affection and love. What’s more important to know is that the emotions generally develop in this specific order. 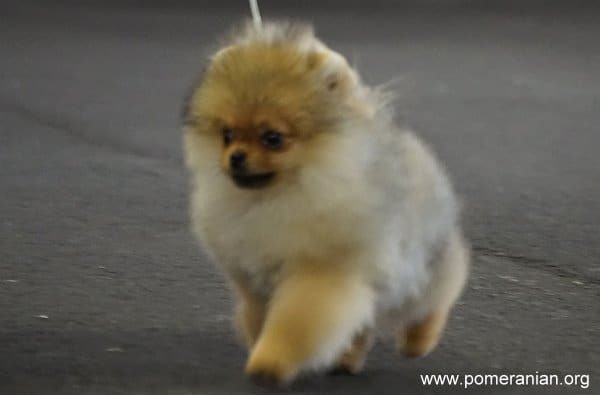 By the time your Pom is four months old, he has the ability to express all of them. The same applies to all toy breeds. Larger breeds can take up to six months. Studies further reveal that dogs stop just short of developing guilt, shame or pride. However, they can still walk proudly and a dog obviously feels guilty if he does something wrong. So how does this happen? People develop pride at around the age of three years. Canine overall development stops at “around” the age of 2.5 years and these are only rough figures. Dogs have proven they can feel shy and so, by definition, confidence is the opposite so they should also feel confident. Some people believe pride and confidence are the same but there’s a clear distinction between them. A dog can feel confident but not pride. People can feel proud and that can lead to ego which can affect the way the brain works. With guilt, if your puppy has chewed up your slippers, can it be possible that he feels no guilt? Emotional intelligence in dogs is a very controversial topic because most dogs have at least some semblance of emotions, regardless of where they live and how they’re treated. In one study, dogs were left alone in a room with lots of things they could shred. Later, the owners did the shredding but made the dogs watch and then the owners looked at their dogs with a very unhappy face. The dogs behaved the same as if they had done the shredding themselves. It’s believed that dogs sense their owners’ non-verbal cues that tell them how they should behave, feel and react when something like this happens. Some scientists claim that, if a dog tucks his tail, lowers his ears, poses in a specific way and has other indicators of shame, it’s actually because he’s fearful, submissive or, perhaps, both. Are Pomeranians Smart Dogs ? A dog learns in order of rank or priority. If he feels superior to another dog or a person, he generally ignores them. Puppies learn by watching adult dogs. Dogs of all ages learn through commands given by owners. However, there are occasions where a dog might do something after seeing a subordinate do it. As an example, an adult dog may check out something a puppy is playing with or checking out. However, most of the time when a dog is learning something new, it’s generally more readily learned when coming from a higher ranking dog or person. This is why it’s crucial for owners of Pomeranians to quickly and firmly establish their identities as leaders (aka Alphas) before trying to teach or housebreak a Pom. If your dog doesn’t acknowledge that you’re the alpha, you won’t accomplish much. 1. Overall intelligence. We have already covered the myriad of ways to test the intelligence of dogs. That included: memory, language comprehension, emotional capacity, problem-solving skills, social understanding, awareness and perception. Consider all these factors and the result is that dogs are, on average, as smart as toddlers between 2 and 2.5 years of age. Obviously some Poms will be lower and others will be higher. 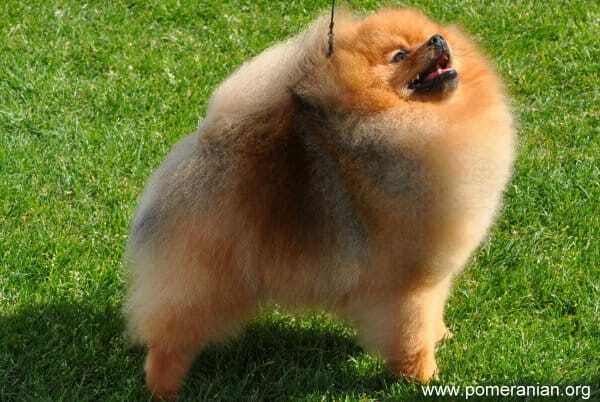 The bottom line is that your Pom is like your toddler, with similar levels of intelligence. Lots of people do treat their dogs as children, sometimes better than children. 2. Stanley Coren, a Canadian author and professor of canine psychology, wrote a book called “The Intelligence of Dogs,” in 1994 and revised it in 1996. Because there weren’t other supporting sources to back his claims, his book was highly controversial at the time. He never saw or interacted with dogs. The dogs involved were only measure in terms of obedience and work. Judges were all from the US and Canadian Kennel Clubs who assessed dogs during trials in the show rings. Only 199 people provided information on which to base the assessment and information published in the book. Later on, owners of some dogs were asked for their assessment of canine intelligence of their own dogs. Some breeds matched the other list and others didn’t. 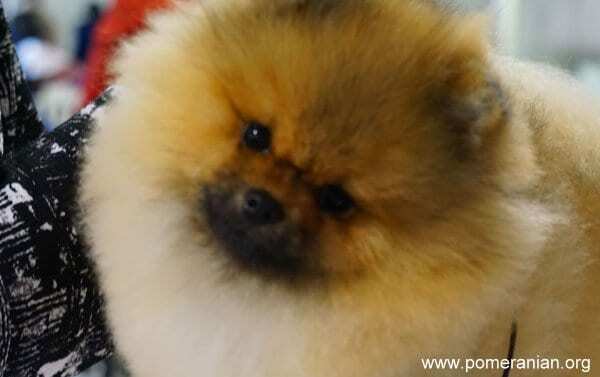 The Pomeranian is number 23 on the intelligence ranking list which is good. It puts them in an “excellent working dog” group. Dogs above them on the ladder were considered the “brightest dogs.” The Pom category had 22 breeds of dogs including the Cocker Spaniel, Miniature Schnauzer and Collie. The top dog on the ladder is the Border Collie. The Poodle is number Two. The bottom rung belongs to the Afghan Hound. However, it’s vital that you understand that not all dogs in any breed will have the same level of intelligence. Dogs need the opportunity to learn. If you found a neglected dog living in a crate by the side of the road, he wouldn’t have many skills. He could learn but isn’t given the chance. If he was taken home by some kind soul and cared for and given the freedom to learn, he would be a much happier, healthier dog and would become much smarter. Dogs have the same five senses that humans are, but they’re much sharper. Spend time in the garden, the local dog park, in a specific room in your home or anywhere else you think of where he can do a bit of investigating, using his senses. After a while, hide a treat in your home and see if he can locate it just through smell. Use other nonverbal cues such as nodding or shaking your head as he gets closer or further away. Each time you get him to do these types of things, it helps his mind become sharper. Train your Pom to understand words. Commands help but there are more words to use than sit or heel. A dog generally understands 165 words, the same amount as a toddler. Your Pomeranian is keen to learn new words so teach him! You can start teaching him words by grabbing a few objects and, one by one, hold each item and say its name. Do it over and over again until he knows what they are. Once you have accomplished that, put them in a line and tell him to choose one. Did he do that? If so, praise him and give him a treat. Repetition is the key to learning for dogs as their long term memory is much stronger than their short term memory. Once you have done this enough times with those three items, start again with a different set of three. When a dog is given the opportunities to demonstrate his intelligence, life is more enjoyable for you both. Keep a list of all his words to see what the end result is. You’ll be quite surprised. Play different games that help your dog learn. Fetch is a good game because it’s great exercise and helps strengthen your bond with your pet. Mind games are as essential as physical ones. Hide one of his treats under one of three upside down cups and see if he can choose the one it’s under. If he figures it out, shuffle them around to make it harder. Your Pomeranian really is your child in many ways. Let him enjoy a long, healthy life by appreciating how smart he is. He reads nonverbal cues correctly, can sense your emotions and knows what you’re saying, even if it’s not every word. Dogs have such a wide range of emotions including love. You know how much you love your pet but isn’t it truly amazing to know that feeling is reciprocated? Share as much of your life with your Pom as possible. Avoid emotions such as suspicion and fear. Focus on happy emotions such as joy and contentment. Are pomeranians smart ? Pomeranian intelligence level explained. Discover how smart a Pomeranian actually is and find out how to help your Pomeranian learn.